Last week, the University of Glasgow in Scotland became the first European academic institution to divest from fossil fuels, a feat many American colleges like Harvard and Princeton have been struggling to accomplish. The university court voted last Wednesday to begin divesting £18 million from the fossil fuel industry and to stop new investments as well. The initiative was pioneered by the Glasgow University Climate Action Society, encompassing 1,300 students, and took almost a year to come to fruition. The announcement comes just weeks after the largest climate change march ever was organized in New York City, bringing climate change once again into view for the global community. NPQ has also taken note of the mass exodus of tech companies, including Google, Yelp, Yahoo, and Facebook, from the conservative nonprofit organization American Legislative Exchange Council (ALEC) because of its stance on climate change—again, pushing the issue to the forefront of national news. 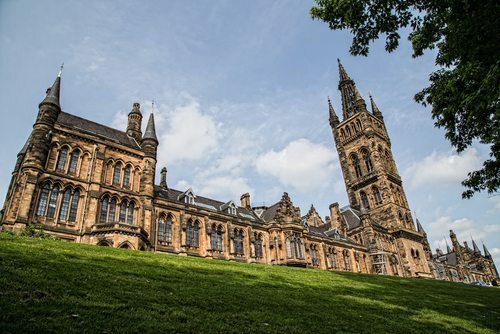 University of Glasgow joins several other organizations and businesses that have recently announced their divestment from fossil fuels, such as the Rockefeller Brothers, the Ben and Jerry’s Foundation, and religious institutions worldwide. Glasgow will also join American universities such as Stanford University, Pitzer College, Hampshire College, and 11 other schools across the country whose administrations have joined the movement.